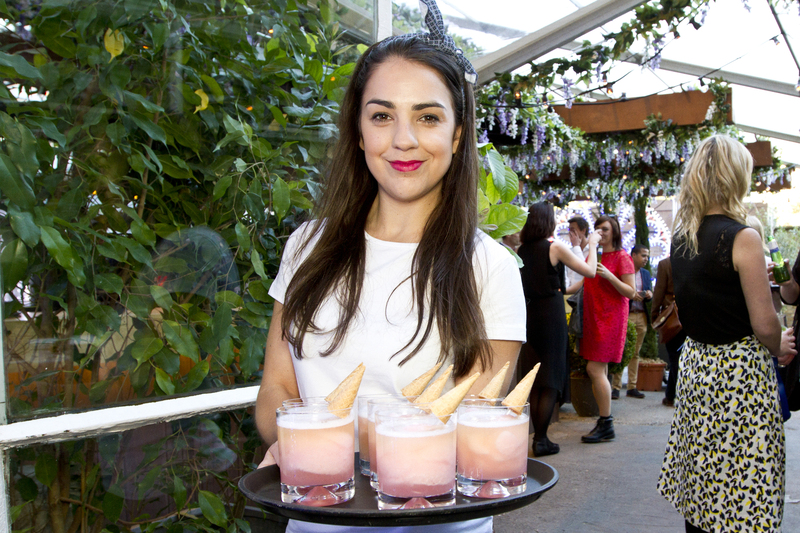 Popular pop-up restaurant and bar, the House of Peroni, has once again opened its doors for the summer season. This time, it is a converted warehouse on Brick Lane that has the pleasure of hosting this charming “experience of the senses”. Unassuming at first, a set of blue doors and a sign simply saying “The House” is all one gets from the outside. In fact, if you weren’t looking for it, you may very well pass it by. Once inside, however, you are transported to a place so vibrant and effortlessly cool, it’s almost overwhelming. 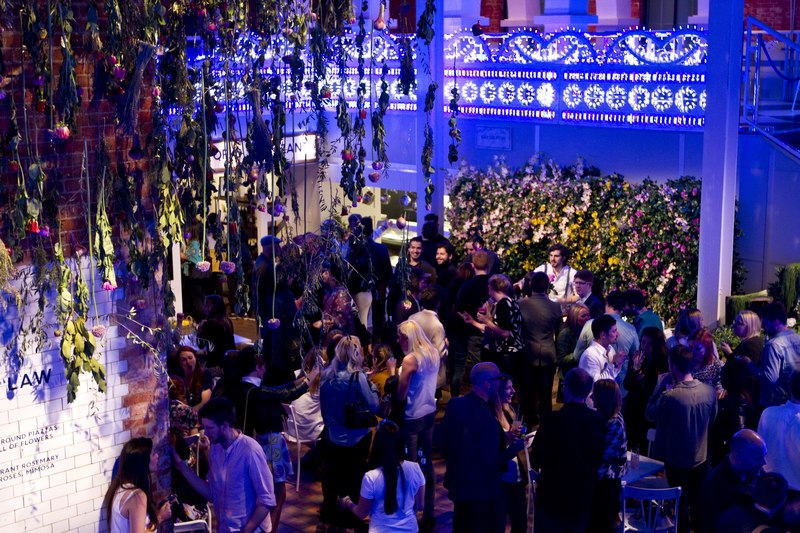 Inspired by the piazzas of Italy, the House of Peroni is decked out to the nines – a huge floral installation designed by Rebecca Louise Law is at the heart of the building, adding to the multi-sensory experience with bright colours and stimulating aromas. As it grows darker, both the indoor and outdoor sections of the Residency are drenched in effervescent lights by the artists Luminarie De Cagna. This is complemented by house music pumping softly through the speakers, which rounds out the lively atmosphere. With a Michelin-starred six-course “dining experience” inspired by the food of Sicily and created by chef Accursio Craparo, guests can enjoy a feast that brings the pulse of the Italian piazza to life. Paired with inventive cocktails – all infused with the namesake beer Peroni, of course – expertly crafted by molecular mixologist Simone Caporale, diners are immersed in the sights, sounds, tastes and aromas of the piazza. Chef Craparo has managed to create an entirely vegan menu in addition to the traditional meat option, meaning that everyone can enjoy the gastronomic journey he has crafted. Eating the six-course menu is an unparalleled experience. The cuisine is fresh, authentic and incredibly inventive. Chef Craparo has taken traditional Sicilian recipes and added his own twist to create some fascinating flavour combinations. From the light starter of wafer crisps with paté, to the perfectly cooked Mezzemaniche pasta dish and the subtle finale of sweet almond milk and tangy passion fruit, diners are treated to an array of intriguing flavours. While the set menu seems pricey, it is well worth the money due to the excellent care taken to prepare the meals, making them of the highest quality. 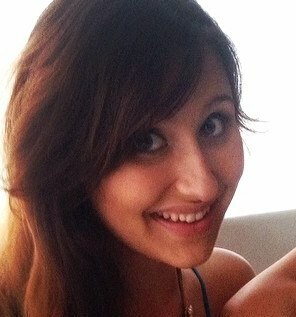 Of course, there is more to the piazzas of Italy than the food. The House of Peroni has brought together all the treasured features of Italian culture, from the outdoor Cinema All’Aperto that shows classic Italian films to events such as “The Culture of Coffee”. They have managed to preserve the perfect amount of class, while still maintaining a welcoming atmosphere. 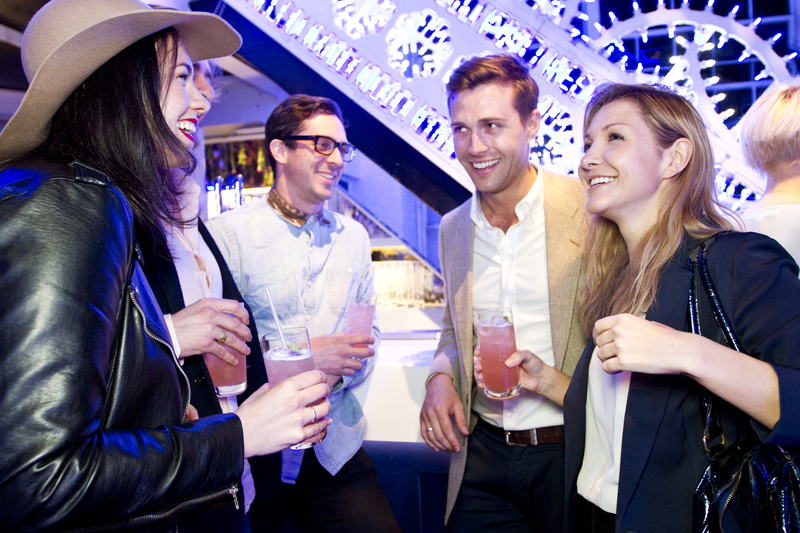 A night out at the House of Peroni allows you to truly experience La Dolce Vita. The clientele is sophisticated yet approachable, the atmosphere is fun and interesting and the cuisine is varied and imaginative. This year’s Residency is not one to be missed! They have managed to preserve the perfect amount of class, while still maintaining a welcoming atmosphere. Six course dining experience is £75 for meat and £65 for vegan including alcohol pairings. Open to all 18+. No admission fee.